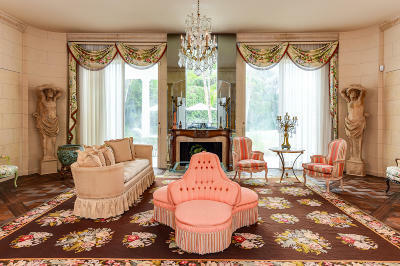 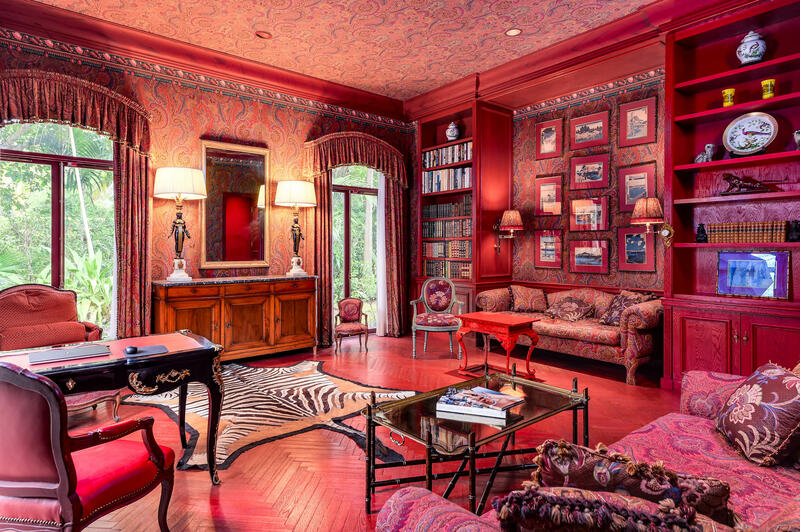 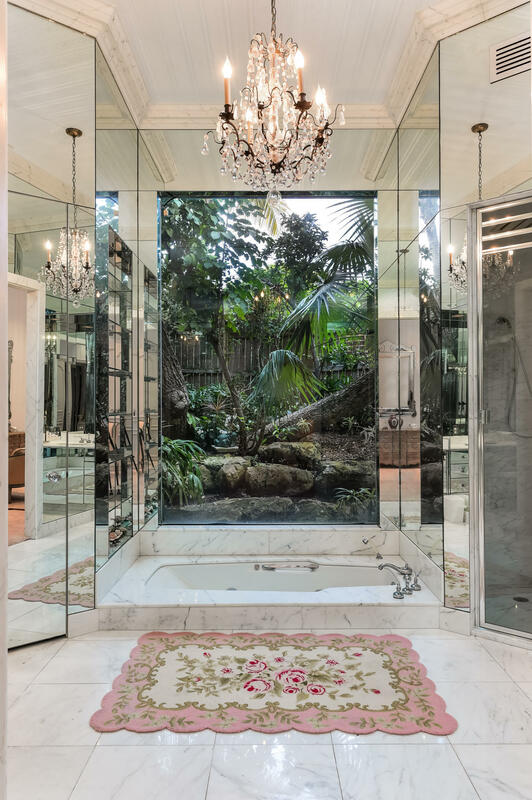 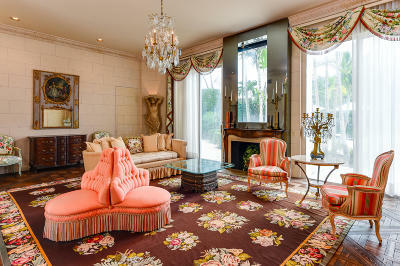 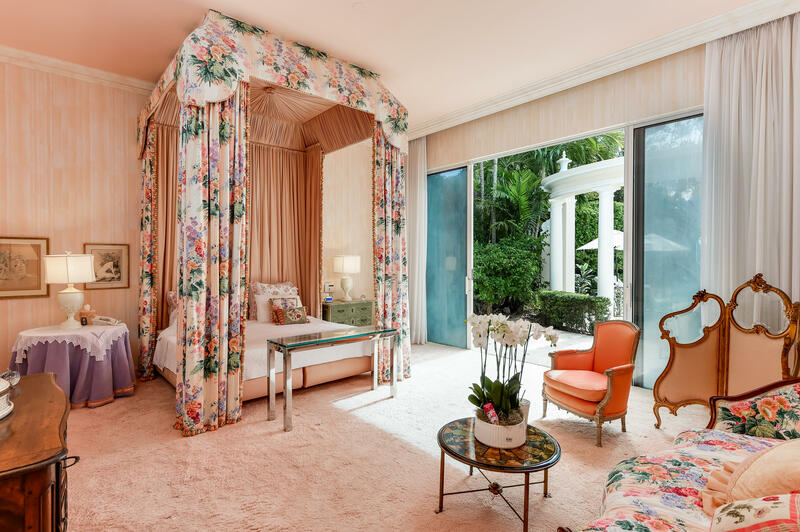 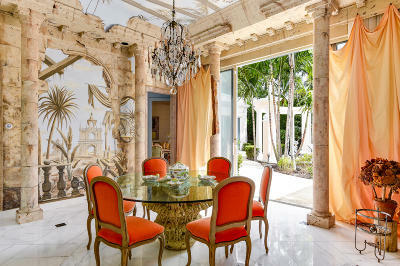 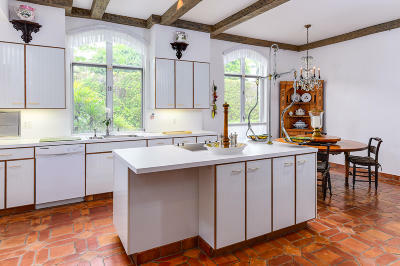 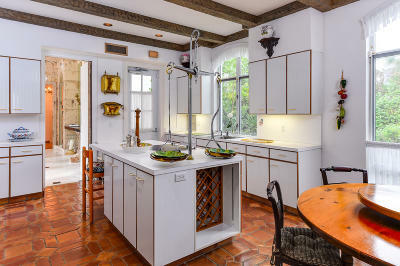 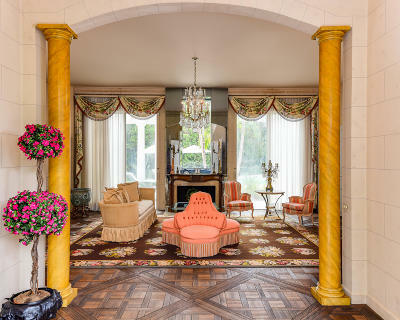 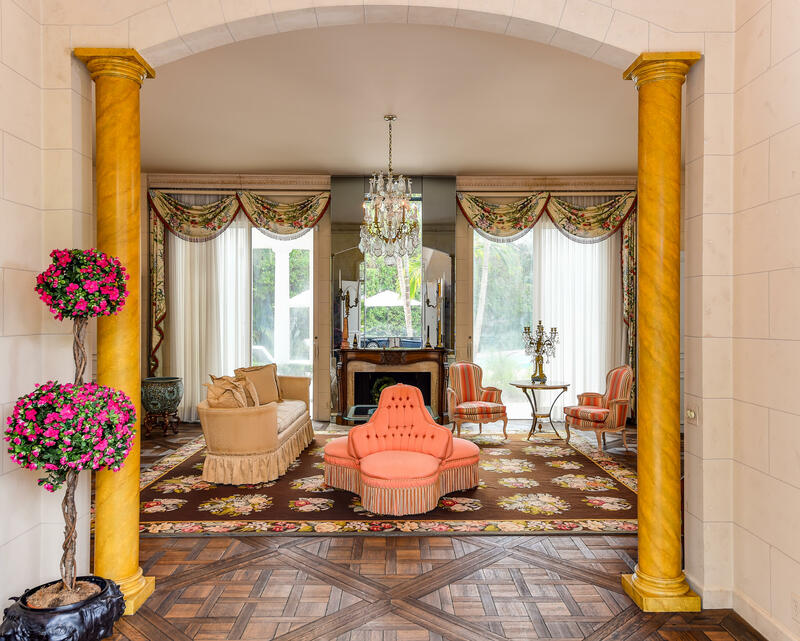 An exceptionally situated Regency home in the Estate Section, built by renowned Palm Beach developer Robert Gottfried. 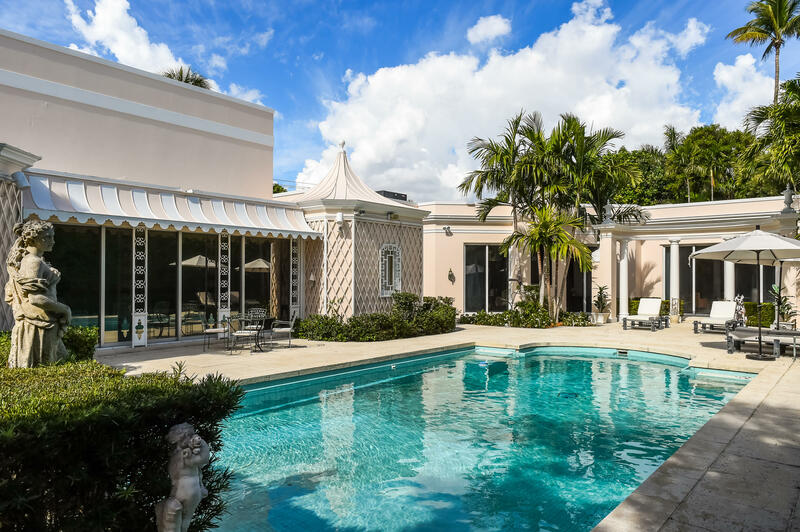 The Gottfried design wraps around the Clarence Mack pool house, once part of the home known as Elephant Walk. 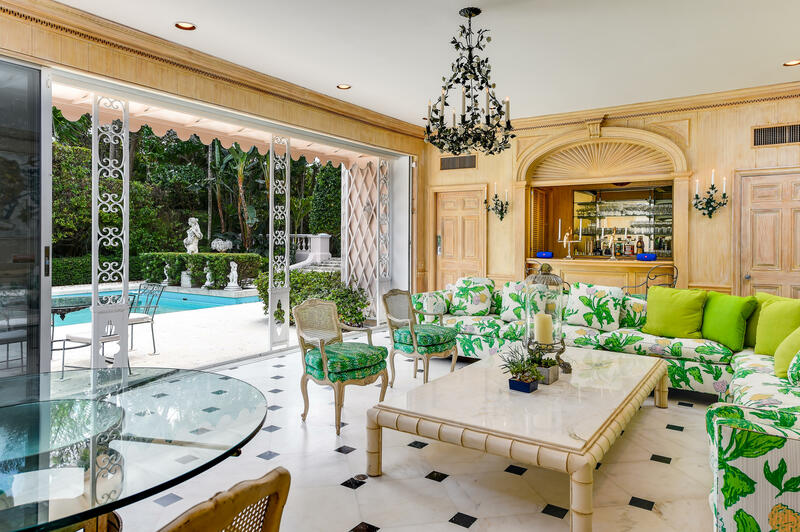 Beautifully proportioned living areas are designed for extravagant entertaining or relaxed privacy, each room having exposures to the lavish pool and open landscaped backyard. The main house has a master suite on the first floor with a private patio extending towards the pool. 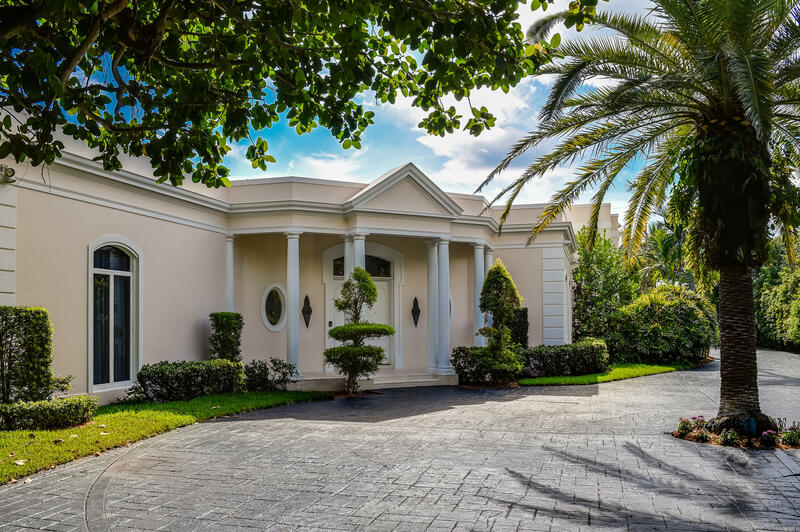 Other features include a home office with a full bar off the Florida room, dining room, formal living room, library with a bar, 1 wet bar, 2 kitchens, sauna & 3 car garage. 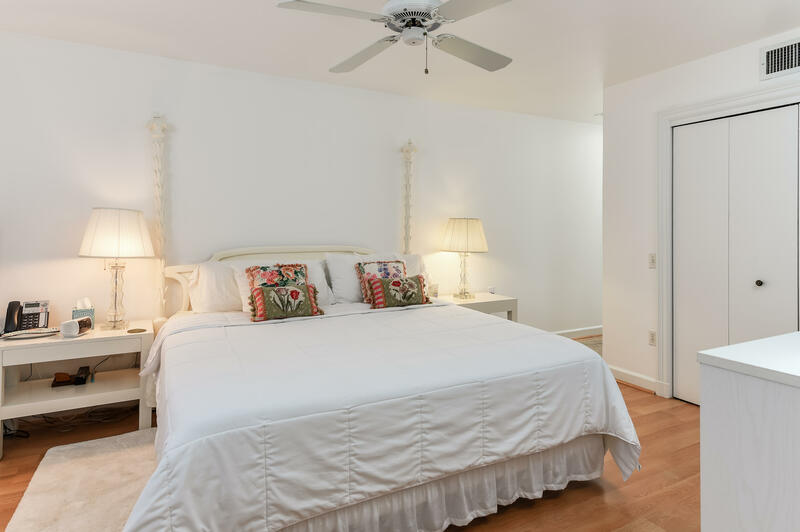 Upstairs, there are 3 additional bedrooms en suite.